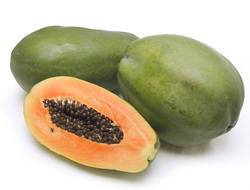 The black seeds of papaya have been found beneficial in the treatment of cirrhosis of the liver, caused by alcoholism and malnutrition. A tablespoon of juice obtained by grinding the seeds, mixed with ten drops of fresh lime juice, should be given once or twice daily for about a month as a medicine for this disease. The juice of carrots, in combination with spinach juice, has been found beneficial in the treatment of cirrhosis of the liver. 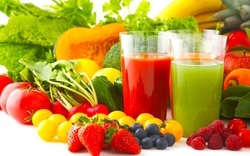 Spinach juice 200 ml, should be mixed with 300 ml of carrot juice to prepare 500 ml or half a litre of combined juices.